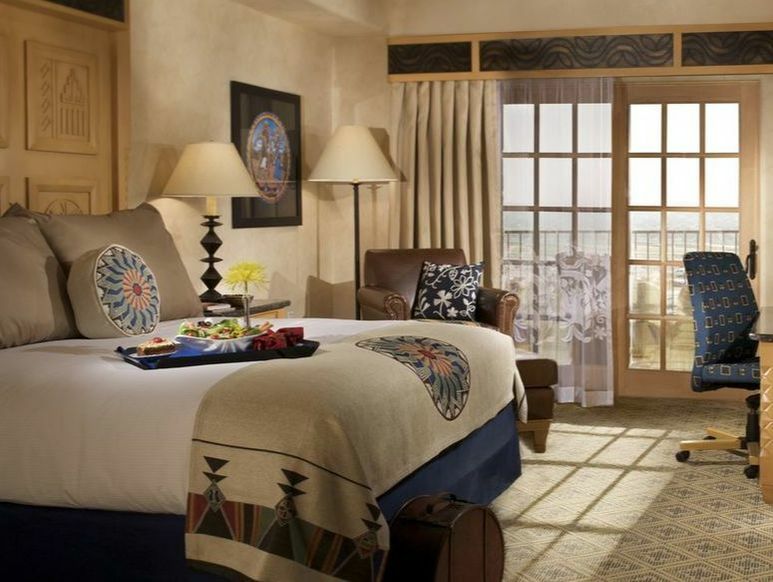 Tantalize your senses with the flavors of the Southwest at The Hilton Santa Fe Buffalo Thunder Resort and Casino. Whether you’re looking for an intimate and luxurious fine dining experience or just want to enjoy our lighter Happy Hour Menu, we have the perfect restaurant and bar for any taste and occasion. Happel brings over three decades of international expertise to the AAA Four Diamond resort in Santa Fe. Influenced by his upbringing in Germany, Happel earned his degree from the Culinary Institute in Immenstadt. He began his career in 1981 at the Hotel Weiler in Oberstdorf, Germany. Following a three-year apprenticeship, he held various roles at notable hotels including the Robinson Club Calabria, Hotel Europe and the famous Savoy Hotel in London. Throughout his distinguished career Happel has received numerous honors including Celebrated Chef for the National Pork Board in 2007, National Taste of Elegance winner, and the Fleur de Lis Savory Best of Show winner at the 2011 New Orleans Wine and Food Experience, among others. The German-born chef oversees the culinary direction of the resort’s signature restaurant, Red Sage, in addition to 4 full-service restaurants and cuisine for the hotel’s banqueting operations supporting more than 66,000 square feet of premium function space. Red Sage is the perfect destination for your next romantic night out, business dinner or group event. Showcasing ingredients sourced from the finest local farmers in New Mexico, the gourmet fare rotates seasonally and the extensive wine selection will exceed the expectations of the most discriminating connoisseurs. 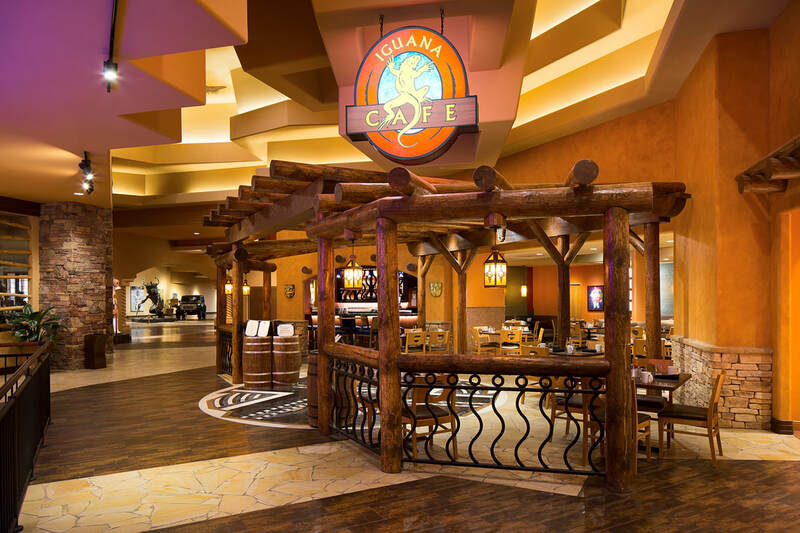 Located on the main level, Iguana Café offers Old Mexican, New Mexican, and American entrées such as Tacos, Enchiladas, Burgers, and delicious desserts, alongside house specialties. Classic Americana meets the legendary Southwest in a flavor explosion you won’t soon forget. Paying homage to iconic Route 66 restaurants, Turquoise Trail offers tastes for the whole family. Whether you're heading out for a game or toasting your new handicap, Towa Grill's new summer menu is the perfect choice. For your early morning tee time, stop in for a Grab n' go breakfast burrito. When you're ready for a casual lunch, an array of salads, sandwiches, and snacks are perfect. There's even a menu for the little duffers. Located at the Resort’s spacious outdoor pool, the Pool Bar features a seasonal bar and grille opened seasonally. 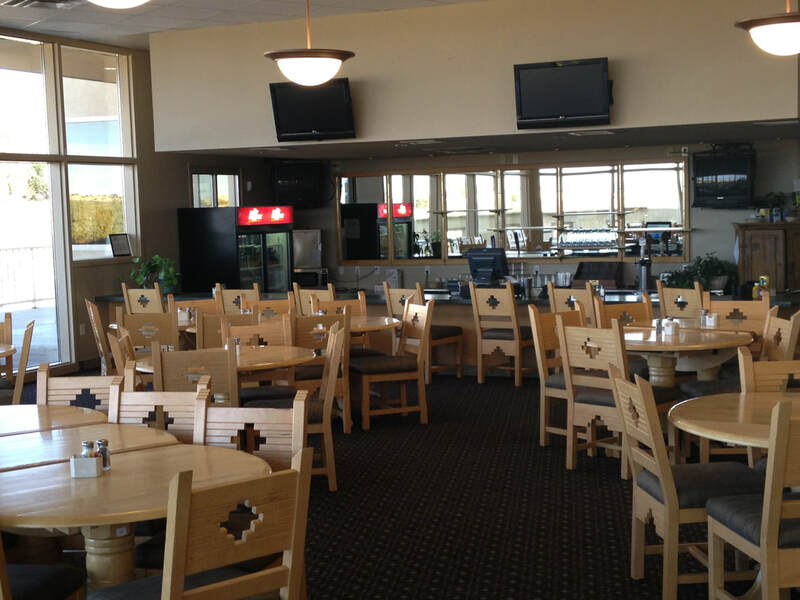 Enjoy refreshments, light fare or your favorite snack while basking in the warm mountain sunshine. Given the seasonality of Santa Fe, regular hours are published from May to October only. 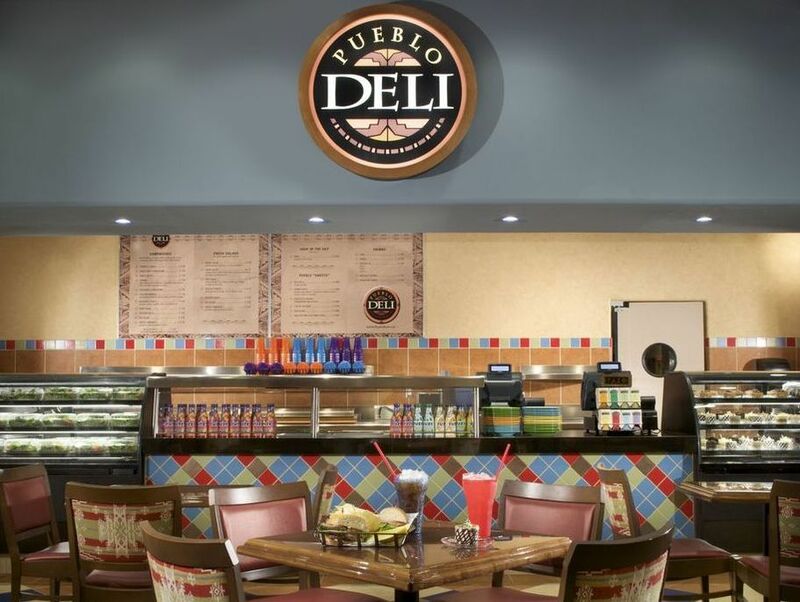 For a quick meal or a tasty bite, the Pueblo Deli has just what you're craving. Enjoy delicious coffee, deli-style sandwiches featuring Bore's Head Premium Meats, fresh and tasty salads, hot pizza slices and amazing desserts. At Hilton Santa Fe Buffalo Thunder we offer premium Starbucks® coffees. Every coffee we offer is expertly roasted and handcrafted all the way from the farm to you. It’s a commitment to quality that’s evident in every single cup. Stop by and enjoy a great tasting cup of freshly brewed coffee and see for yourself. When serenity is desired, dine in the comfort of your room as the meal is prepared and delivered for your convenience. An in-room menu is available in your guest directory for your dining selections.